After the global Credit Crunch, recession kicks in in the metaverse as well. We've seen this one coming a year ago though. After the media hype in 2006/2007 brought dozens of companies into the virtual world of Second Life, the brain drain started in august 2007 when wanna be hotshot marketeers failed to digg how Virtual Worlds worked and companies bailed out of their virtual ventures. Ambling in Second Life has been quiet for four weeks now. Digado has been dead for two months as well. The Belgian Second Life Crew has made its last post in July. Second Life Blogo, once operated by Second Life Development Company Lost in the Magic Forest has even ceased to exist. Dutch SL Community site NL0031 (formerly known as Second Life NL) has been silent since July. A number of CEO's from virtual worlds have said to me that Second Life may have done the Virtual World industry a bad service while trying to ride that wave of media and corporate attention which now results in not just a fading hype, but the start of a real Meta Crunch. They may have a point, but in my opinion this is a needed shake-out. The space is getting too overpopulated with hundreds of startups trying to get a piece of the pie without bringing innovation into the arena. We've passed the "Yet another Social Network" stadium and moved into the "yet Another Social World" phase. 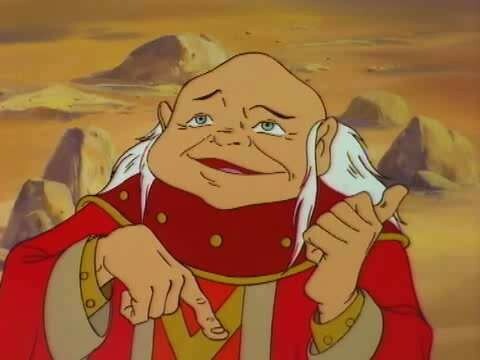 Somehow the picture of the "Dungeon Master" came to mind, a wise old game-guide. We might need one to show us the way in the Metaverse and help us out of trouble. I don't think it is that drastic. It's time for a good old shakedown. Get rid of the cowboys that dream of getting rich faster than you can make instant coffee. There's tons of schools, universities and other institutions out there in the Metaverse (including Second Life) who are still exploring, still paving the way for the masses in finding cool, real and usefull applications of Virtual World technology. We just have to be patient. Explore, accept failure, rejoice in small victories. Keep it going. We'll get there, but have a long road ahead in which we must innovate. "The two years since virtual worlds went "mainstream" have been a roller-coaster ride for all involved; for every success like World of Warcraft, there have been negative developments such as the media backlash against Second Life. Now, as a number of new worlds are appearing, the technology is improving, and interest levels are growing, virtual worlds are ready to enter their second phase. Forrester recommends that consumer product strategy professionals watch the space carefully — if they are not involved already — as we expect the next 12 months to be momentous for consumer virtual worlds. Much-heralded new worlds will arrive, marketers will return to the medium after initially being burned, and Web3D elements will start to creep into consumers' lives. " The first sentence makes me extremely sceptical immediately, since Virtual Worlds are far from being "mainstream yet" Especially with the market behaving as it is (The Dow downed severely today after the US Governments bailout failed in congress) I predict there won't be many consumer product strategy professionals out there that will take a shot at immersion. In short, Im not yet up to paying $ 280,- on this paper yet, will have to wait for it to become available through my office. It's always nice to get quoted, or get good critics. Yesterday I stubled upon two articles on a presentation I did back in February this year. It was at the Virtual Worlds convention at the Hogeschool van Utrecht, where I held a presentation on how virtual worlds are subject to Gartners Hypecycle and how to navigate the hype. Door middel van een analyse met de zogenaamde “hype cycle” werd Second Life als case besproken. Het blijkt dat Second Life nu in de Enlightment-fase zit, na een periode van teleurstelling. Een zeer uitgebreide analyse die in een korte tijd werd gegeven. Aan deze twee keynotes zullen we aparte posts besteden, aangezien ze zeer de moeite waard zijn. Simpelweg omdat de rest van de keynotes voor ons oude koeien waren, en we denken dat deze ook voor de gemiddelde TPN-lezer zullen zijn. Johan Vermij van Sogeti presenteerde een verhelderende visie op het voortbestaan van de Virtual Worlds. The article (in Dutch) has a pretty good summary of the keynote I did. One of the hottest tech events these days is the World Economic Forum in Davos. Through twitter I've received a lot of updates, especially through Robert Scobleizer's stream. Seems like things get pretty seesmic over there. On the question whether Philip regrets seeing so many people leave Second Life close after they signed up he told Adam he did. He tells us he would have loved to step in a time machine, go back, and change things before they left. But he also says the problem was or is twofold. One is obviously the software, Linden Labs ‘part of the deal’ - and then there is the community, responsible for the content of Second Life. The content of Second Life wasn’t appealing enough to these people either to keep them from leaving, but he is confident this will change in the future as he talks about media the media coverage of 2006. Philip goes on to say the media has created a ‘too pretty picture’ - thats why many people came into Second Life to early, and left when they were faced with disappointment. Second Life has not been able to live up to the High expectations but Philip was confident these people will return once they find Second Life offers more applications, and is able to meet at least some of these users in their expectations. He continues to say we will see more Hype Cycles because of this every 12 to 18 months for the next 5 years. Sounds like Prokofy has been calling in, and Philip says: I don’t care. Well spoken Philip. Technical rights management is not too difficult, he claims it is within the range of Linden Labs capabilities at the moment. What will take time is to implement these rules and get them right. He wants to make certain he doesn’t underestimate the issue of ‘Content Right Control’ and is well aware Linden Labs is on an experimental level here. The complete interview can be found on Reuters and is well worth a listen. Two days ago I din't get beyond answering the first of the five questions that the Virtual Worlds News site put up. What are your top 3 trend predictions for 2008? What business goals have you set for 2008? What challenges do you expect 2008 to bring for the virtual worlds industry? A number of new platforms are launching in 2008. What are the biggest impacts this will have on the industry? How will the above changes affect your specific segment of the industry in 2008? 2. What business goals have you set for 2008? Completing 5 real immersive projects. 3. What challenges do you expect 2008 to bring for the virtual worlds industry? As more and more companies will be disappointed in the 1st wave results it will be up to the industry to find true business integration. The biggest challenge for 2008 will be to get the metadiscussion on the metaverse going. By this metadiscussion I mean the discussion on the underlying principles of the metaverse. We need to find suitable businessmodels. In this discussion we should find answers for the economy in virtual worlds, hardware and other infrastructure, portability and interoperability, international or metaversal law and identity management. 4. A number of new platforms are launching in 2008. What are the biggest impacts this will have on the industry? I'm not sure which impact it will have. Half of the industry will still be on the first upward curve of the hypecycle, while others are on their way down in disappointment and a few will already start in the 3rd stage of gaining maturity. Of the new arrivals I expect a lot from Football Superstars, but on the whole I'm not exactly impressed by the latest additions. 5. How will the above changes affect your specific segment of the industry in 2008? Both question 4 and 1 (previous post) and to a lesser extent 2 and 3 read more or less the same: The impact it will have on my segment of the industry is simple: Native MDC's will loose their headstart in projects for the metaverse and more traditional companies with long term relationships and business analysis skills will have to step forward to mature the industry of Virtual Worlds. Finally, the Second Life Herald posted an article that kind of tried to sink the project. "Believe it or not, despite the blogs, everything is going exactly as planned. We purposefully had many many extra sims and staff the first 2 nights as a just in case precaution. There are few user experience worse than not being able to log in or even worse crashing the grid. We're right on point with ours and CBS' expectations as far as number go. I've been impressed with how many people are still signing up a week later. It's to soon to get a good feel on retention numbers. Our expectations were never the millions of people the SL community expected. The % of people who went from TV to SL are well in line with our other TV experience and CBS's other efforts in cross media. TV is a passive medium. It's really hard to get people from watching TV, to their computer checking out a website an downloading an application. However, those that do make it become more valuable customers. They spend 2-3 times longer a week with your brand and they will tell others how cool your show is". The show has had about 16 million viewers, of which some 80.000 signed up for an account in the last week. That's a response of 0.5%. My marketing knowledge is a little rusty, maybe Nic Mitham from KZero can say some clever things on that, but as far as my memory serves me 0.5% is a very acceptable response. Truth is, we don't know if those 80.000 signed up because of CSY:NY. If we look at groups in Second Life, the CSI:NY group is the largest at the moment, having close to 1200 members, but the group for "the Office", which was much more viral and smaller in setup has about 675 members. And if they signed up for CSI, how many of those will stay? For readers in the United States of Apple, this blogpost may hold nothing new. Let me just wish you a happy 4th! 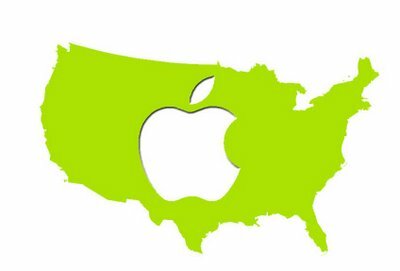 For readers here in Europe, or even closer to home, the Netherlands, here's an update on the iPhone craze in the States. Most of the press about the iPhone talks about its high price. Even my iPhone review describes it as pricey. But if you actually think about all the things it can do, it's a bargain. The novelist John Irving made that observation years ago about the VCR, and each generation of video technology brings watching and reading closer together, making video more private and more under the user's control. For you who have a more visual approach, have a look at Justine Ezarik's "Tasty Blog Snacks" running a number of great vids on iPhone. Tribal Shout brings podcasts to your phone — which iPhone case should we get? Who’s going to iPhone Dev Camp? So...? Does it makes me want to buy an iPhone? Nah, don't think so. I have enough entertainment already seeing a complete continent sucked into a slick PR machine.